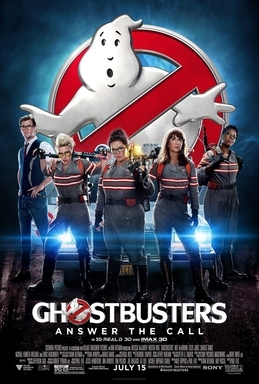 I went to see the new Ghostbusters movie earlier this week and I enjoyed it. It might be lighter on plot than the original - which is one of my favourite all-time films - but it is thoroughly entertaining. Sadly, it is nothing like dealing with ghosts in real life. Being a witch, and counting among my friends many real-life ghost hunters and parapsychologists, I do from time to time get asked for help by people who feel their homes are haunted. I've done a few clearings myself in the past. While it might have been wonderful to force the entity to manifest and then shoot it with an unlicensed nuclear accelerator, I usually just had a quiet word with the spirit and persuaded it to move on to a better place. Not nearly so spectacular. But what should you do if, as the song goes, there's something strange in your neighbourhood? Well, a new book called A Mystic Guide to Cleansing and Clearing offers the best advice I've ever read on the subject aimed at the modern-day witch. That starts in the introduction, where author David Salisbury explains that cleansing and clearing is mostly about getting rid of unhelpful energy - usually emotional or psychic crud rather than actual ghosts or malevolent entities. The first chapter lists useful tools for cleansing, and again starts with advice that I agree with. If you are any good as a witch, you often don't need any tools at all. That doesn't mean tools aren't cool. Brooms, bells, blessed water and blasting rods can come in handy to focus your magic. Candles are also among the most versatile things to use for cleansing space and creating blessed water. Further chapters explain several methods of cleansing yourself, your house and other spaces. David offers numerous ways of doing this, from very quick and simple routines you could do every day to longer rituals to use if necessary. Although most of the time all we are clearing is unhelpful energy picked up from grumpy people or caused by our own bad habits, sometimes things are a bit more serious and harder to shift. These can be things like connections that link us to other people, which are draining our reserves or holding us back. But, sometimes we do really need to get rid of a ghost. David's advice is again what mine would be. First find out if it is actually a human spirit or simply an echo of an event that is replaying in the place it happened. If it is a spirit, then attempt to communicate with it to find out why it is lingering. If it is causing a nuisance, David offers several techniques to move it on. What I really like about A Mystic Guide to Cleansing and Clearing is that it offers practical, sensible advice in a clear and succinct way. And I have to say that if I was troubled by strange noises in the middle of the night or experienced feelings of dread in my basement or attic, to paraphrase the original movie, I wouldn't call Ghostbusters - I'd just try out the stuff in David's book. A Mystic Guide to Cleansing and Clearing can be ordered via Amazon. Pictures: The images show the book cover for A Mystic Guide to Cleansing and Clearing and the poster for Ghostbusters (2016).